Secure Socket Layer (SSL) forms the foundation of most secure website transactions, of late. From verifying the authenticity of a website to encrypting sensitive payment details. SSL provides a robust security framework for every successful website reigning on the internet. As per RBI Guidelines, it is compulsory to have an SSL if your website has a payment gateway. 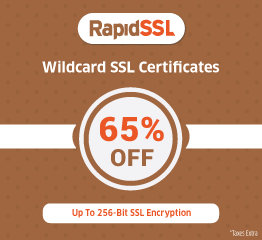 An SSL Certificate installed on a web server, it enables the padlock and the “https” protocol which permits secure connection from a web server to a browser. In the context of various electronic payments nowadays, SSL permits the cardholder to transmit entire payment details to the merchant’s server through an extremely secure gateway. Ransacking the old history, Netscape Communications originally developed Secure Socket Layer (SSL) in order to provide security for browser interactions with web servers. 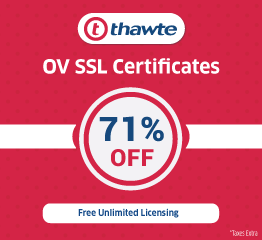 SSL became a popular open security protocol ie widely used now by all the websites. In layman’s term, SSL establishes a secure communication channel between two computers while both are connected to the internet. By the word ‘security’, it indicates that the communicating parties use that channel to exchange data in a confidential manner. ‘Encryption’ and ‘decryption’ methodologies code and decode the flowing data respectively. Moreover, SSL also enables both communicating parties to check the integrity (sanctity) of that data, and optionally, to authenticate each other. If your website requires “Sign Up” and “Sign In” features where the users have to log in. 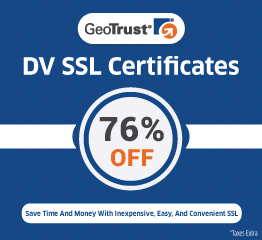 You need to get an SSL Certificate for your website. When your website has to perform a form-posting action with invaluable customer details, you may consider getting an SSL Certificate for your website, if you do not want your sensitive customer data to get intercepted. If you have an e-commerce site where you need to accept the credit card information of the customers in your website and then forward it to PayPal (or some other payment processing gateway), then you need to get an SSL Certificate for your website. When your site does not have any login or submission form to capture any sensitive data from the users. When you have an e-commerce site that uses PayPal (or any other third party payment processing gateway) where all sensitive payment details get processed at that gateway’s website, then you do not need to get an SSL Certificate for your website. Few website owners, especially the e-commerce website makers, hold a wrong notion about SSL. For their clarification, SSL only serves the purpose of a generic secure communication protocol. And not supposed to use as a payment protocol. SSL based e-payments suffer from the same issues as “card not present” transaction problems. Additionally, it also deals with some other minor drawbacks. SSL does not provide any mechanism for strong authentication of either the cardholder or the merchant. SSL also lacks the policy and legal framework to allow the customers to trust one merchant. Because there is no control over what the merchant does with the cardholder’s payment details.